When selecting a new laptop, most people value portability and long battery life above everything else. It’s no surprise then that the ultrabook category is booming, with laptop manufacturers trying to squeeze in as much processing power as they can into well-built, elegant devices suitable for travel and daily commuting. Generally, a laptop is classified as an ultrabook when it weighs under 3 pounds and delivers an above-average performance. Because it takes more effort for manufacturers to keep the weight down without compromising durability, ultrabooks often cost more than heavier and thicker laptops with the same hardware specifications. But raw performance aside, ultrabooks usually outperform regular laptops in every way. They come with high-resolutions displays with excellent viewing angles, feature backlit keyboards for comfortable and accurate typing, and are built from aluminum instead of plastic. That said, if you’re in the market for an ultra-thin and light weight laptop like an ultrabook, you’ll want to follow along with us below. We’ve constructed a list of all of the best options on the market today. Let’s dive right in. 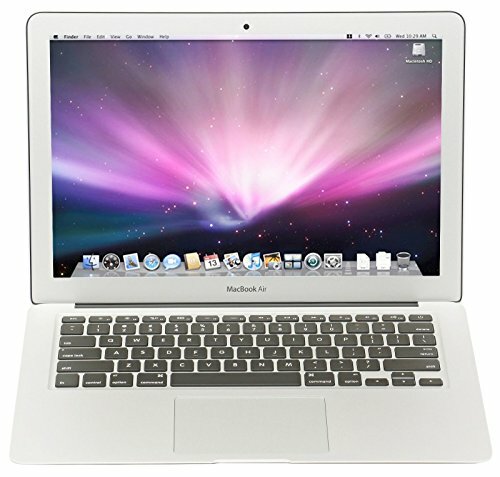 The Apple MacBok Pro 15 comes up as our number one choice. The MacBook Pro 15 may not have been considered an ultrabook years ago, but with new innovations, this laptop is thinner than ever. It has a large screen, which gives you plenty of real estate and clarity to view your favorite movies and videos, as well as the text clarity you need for coming over massive documents. Apple uses their proprietary Retina technology here, which is where that industry leading clarity comes from. On top of regular business work, the MacBook Pro is a powerhouse. It has some great hardware inside, such as a powerful Intel processor, a dedicated graphics card, and a whopping 16GB of RAM. This allows you to do hardware-intensive things like video editing, programming, web design, and so much more. One of the unique aspects is the all-new Touch Bar, which allows you to do different actions, such as adjust the volume or your position in a video without waking the screen. Apple’s new MacBook Air might be one of the thinnest and lightweight laptops yet. Equipped with an all-new display, the MacBook Air provides you with some excellent display quality through its Retina technology. And with the near bezel-less design, the MacBook Air gives you more screen real estate than it ever has before. On top of that, the MacBook Air is one of the most lightweight options to date. The MacBook Air has some pretty good performance as well. The MacBook Pro is double the performance of the Air, but the Air can still get quite a bit done with its dual-core 8th generation Intel Core i5 processor and 8GB of RAM inside as well. This one doesn’t have a dedicated graphics card, so you’ll be working with Intel integrated graphics instead. Finally, this laptop gets some excellent battery life, bringing you up to around 10 hours off a single charge, depending on what you’re doing. The Dell XPS 15 is a little larger than the MacBook Pro, but it still has an overall thin profile that’s easy to travel with. Naturally, you get a 15-inch display, and you can choose whether to get that in 4K resolution or in Full HD. And of course, the price can be a pretty significant increase depending on what your choice is. The Dell XPS 15 is packed with some excellent hardware as well. So even though this has a pretty thin profile, it can do some pretty heavy lifting as well — it’s got an 8th-generation Intel Core i7, 16GB of RAM, and a 512GB SSD. Google’s Pixelbook comes up as fourth on our countdown. This one is another ultra-thin and light weight laptop; however, it’s significantly different than the others on our list because it’s actually running Google’s Chrome OS. Chrome OS limits you as to what you can do on the system; however, you’ll still get access to the massive library of Android apps available via the Google Play Store, as well as a bunch of other extensions you can add to the laptop via the Chrome Web Store. The Google Pixelbook has a beautiful display. If you plan to do any movie streaming or video content, this is the display to use for entertainment. It’s got the bezel-less design, which gives you more screen real estate; however, it also has some excellent screen clarity. Hardware is pretty good in the Pixelbook as well — there’s a Intel Core i5 processor and 8GB of RAM. You should be able to multitask well with this laptop, as well as get some light video editing in. There’s some great battery life inside as well. A single charge gets you ten hours of use; however, this is also optimized with fast charging, which gets you two hours of use after just 15 minutes on the wire. If you think the MacBook Air is light and small, think again. The ASUS ZenBook UX330UA weights just 2.6 pounds and measures 12.7 x 8.7 x 0.5 inches, making it 0.36 pounds lighter than the MacBook Air. It will also set you back over $100 less, despite being more powerful and having a much better display. Given similar the two laptops are in design, it’s clear that ASUS is trying to give consumers a compelling reason to stay away from Apple. But even on its own, the ZenBook UX330UA is an easy recommendation. The laptop comes with the Intel i5-7200U processor clocked at 2.5 GHz, with Turbo up to 3.1 GHz. CPUBoss gave the processor score of 8.4 points out of 10, placing it 0.2 points above the older i5-6200U and just a 0.1 points below the pricier i5-7500U. Needless to say that the processor makes even demanding applications, such as Adobe Photoshop and Vegas Pro, fly. Heavy multitasking is no problem thanks to 8 GB of RAM, and the fast 256 GB SSD makes the pre-installed Windows 10 operating system incredibly responsive. For such a small laptop, the ASUS ZenBook UX330UA can deliver a surprisingly immersive multimedia experience. The SonicMaster speakers with several pre-set software profiles bring music and movies to life, and the 13.3-inch anti-glare display with wide viewing angles and the Full HD resolution is easy on eyes and provides plenty of screen real estate for work. The latest MacBook Pro has been criticized for its revamped keyboard with a different feel compared to previous-generation MacBook Pro models. People for whom writing is a daily task have been looking for alternatives to MacBooks, and the ZenBook UX330UA fits the bill nicely. It has a full-size keyboard that features optimal 1.5-millimeter key travel and a rubberized palm rest for added comfort. These and many other features make the ASUS ZenBook UX330UA the best affordable ultrabook of this year. It offers excellent value at a highly competitive price. 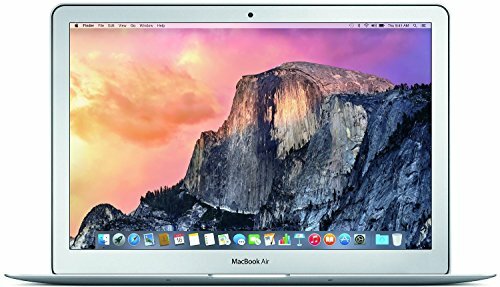 Over 3 years after its release in March 2015, the latest generation Apple MacBook Air remains one of the most sought-after ultrabooks by writers, college students, and everyday users who value portability and prefer the Mac OS X operating system over Windows 10. While it’s no longer the thinnest, the lightest, nor the prettiest ultrabook on the market, it still holds up great even in 2017. There’s no doubt that the laptop’s fantastic build quality is the main thing that’s keeping it so popular. Apple engineers know how to turn a solid block of aluminum into a work of art. The MacBook Air feels solid and looks stunning from every angle. Place your hands on the full-size keyboard and the large touchpad, and you’ll immediately understand why professional writers cling to their MacBook Airs and refuse even to consider buying a different laptop. It’s only once you look at the laptop’s specification when its age starts to show. The Intel i5-5250U processor and the Intel HD Graphics 6000 graphics card are generations behinds the cutting-edge, and the 13.3-inch display with 1440 x 900 pixels looks outdated, to say the least. The presence of only 128 GB of PCIe-based flash storage isn’t nothing to write home about either, but it’s unlikely that anyone would purchase the MacBook Air with the intention of storing hundreds of GBs of data. So, is the MacBook Air still a good buy even in 2017? Yes, it is! The latest version of Mac OS X, Sierra, runs flawlessly, and not many laptops under $1000 can run up to 12 hours on a single battery charge like the MacBook Air. There are many fantastic apps available for Mac OS X for writing, photo and video editing, personal organization, and other things that you won’t find on Windows or Linux. 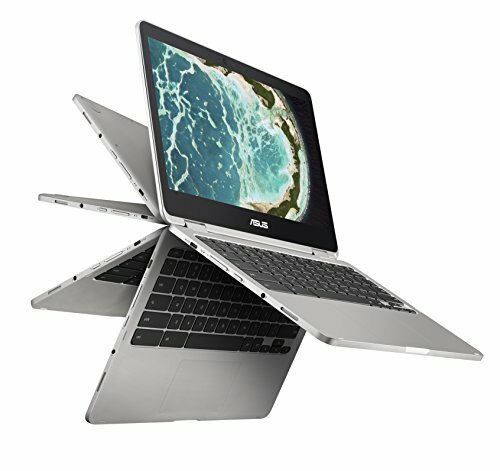 The ASUS Chromebook Flip C302CA is the most affordable ultrabook on this list. Instead of Windows or Mac OS X, it runs Chrome OS, an operating system designed by Google that is based on the Linux kernel and uses the Google Chrome web browser as its principal user interface. The advantages of this innovative, web-based operating system are abundant, especially for casual users who barely leave the web browser anyway. Chrome OS is highly secure, boots nearly instantly, runs hundreds of thousands of Play Store apps and games, supports multiple users, automatically updates to the latest version, and consumes minimum processing power. It’s only thanks to Chrome OS that even a relatively underpowered ultrabook, such as the Flip, can run without any slowdowns and performance issues. Thanks to the 360-degree hinge, it’s possible to turn the Flip into a tablet or flip it to the tent mode and watch a movie on the 12.5-inch Full HD display. The large battery lasts up to 10 hours, and charging is realized via a USB Type-C port. The Flip has only 64 GB of storage space, but you get 100 GB for free from Google as soon as you activate the laptop with your Google account. The precision one-piece chiclet keyboard with 1.4-millimeter key travel feels solid, and the 104.5mm x 61mm touchpad with intelligent palm rejection feature is spacious and responsive. If you’re so inclined, you can install a full-fledged Linux distribution and dual-boot into a Linux desktop. Once in, the world is your oyster. You can code Android apps, develop IoT software, create presentations using Libre Office, or run penetration tests on wireless networks. Ultrabooks with 15-inch displays are a rare breed, but certainly not an oxymoron. Even a 15-inch laptop can be light enough for travel and commuting—it all depends on how well it’s engineered. Weighing just 2.9 pounds, the Samsung Notebook 9 is one of the lightest 15-inch laptops on the market. It features a durable aluminum and magnesium alloy construction that helps to keep it cool and quiet when pushed to its limits. Not that it’s easy to hit the performance ceiling of this machine. The powerful Intel Core i7-6500U processor and 8 GB of RAM make the Samsung Notebook 9 suitable even professional use. The vibrant 15-inch display with the Full HD resolution and LED backlighting is the highlight of the show. With a display so large, you don’t need an external monitor even when working on the laptop for the entire day. The display is coated with a special anti-reflective compound and greatly increases the laptop’s usability outside in the sun. The large chassis houses fast-charging batteries that can keep the laptop up and running for up to 12 hours yet take only 90 minutes to recharge. 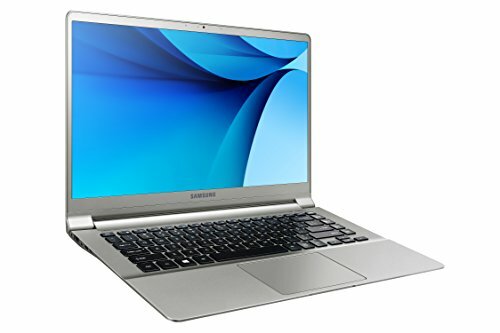 The Samsung Notebook 9 comes with Windows 10 pre-installed as well as with Samsung SideSync, the company’s PC to Mobile solution that enables screens, windows, and data to be shared easily. Also included are extra security features to help users cope with the latest malware threats. Overall, the Samsung Notebook 9 is a great choice for anyone who wants to get things done without hauling a heavy laptop. The only thing to watch out for is the lack of a dedicated graphics card, which makes it unfit for gaming and 3D graphic design. The fourth-generation model of the XPS 13 line, the Dell XPS 13 (9360), was released in October 2016 as a minor improvement over the previous generation. 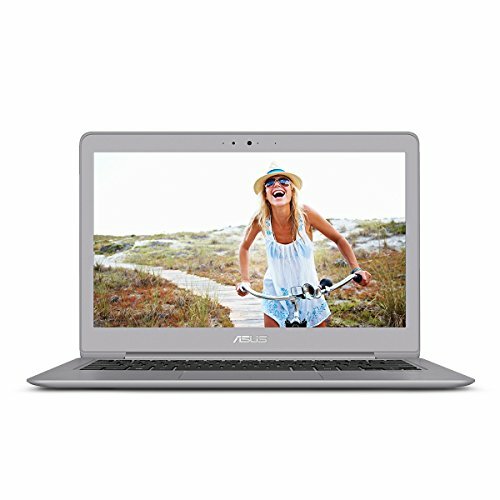 The newest version of this popular ultrabook features the Intel Core i7-7500U processor, which is built on the Kaby Lake processor microarchitecture, and up to 16 GB of RAM. We recommend the version with 8 GB of RAM and 256 GB SSD storage. The top-of-the-range version costs $300 more, and we don’t expect most people to notice any significant performance difference between the two versions. No matter which version of the Dell XPS 13 you ultimately choose, you’ll get a stunning QHD+ display with non-existent bezels and amazing 400 nit brightness. Thanks to the IGZO IPS display technology, colors are vivid and accurate even when looked at from an acute angle. The display supports touch input, allowing you to interact with the content on the screen in a natural, intuitive way. You can purchase the optional Dell Thunderbolt Dock and instantly turn the laptop into a capable workstation. The dock supports up to three Full HD displays or two 4K displays and has a single-cable connection for power, Ethernet, audio, and video. 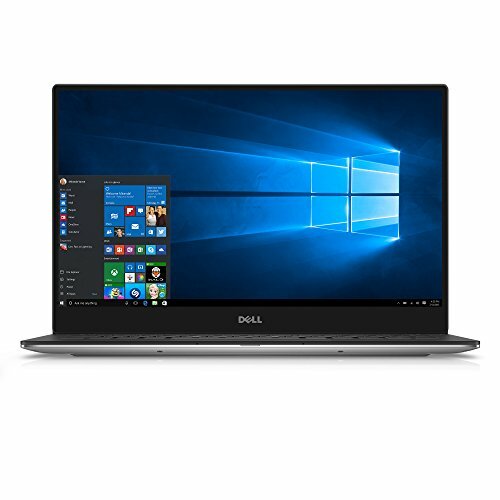 With Dell’s business industry-leading endpoint solutions, the Dell XPS 13 is an ideal machine for business professionals who dislike moving between several different computers and would like to have all data in one place.